Vinyl 12″, Hand Cut B-Side – Ltd. Ed. 333 ex. – Anatomy : a dissection consists of opening up a body according to a predefined protocol. – Geometry : a dissection problem involves cutting up a figure to rearrange the pieces into another given figure. 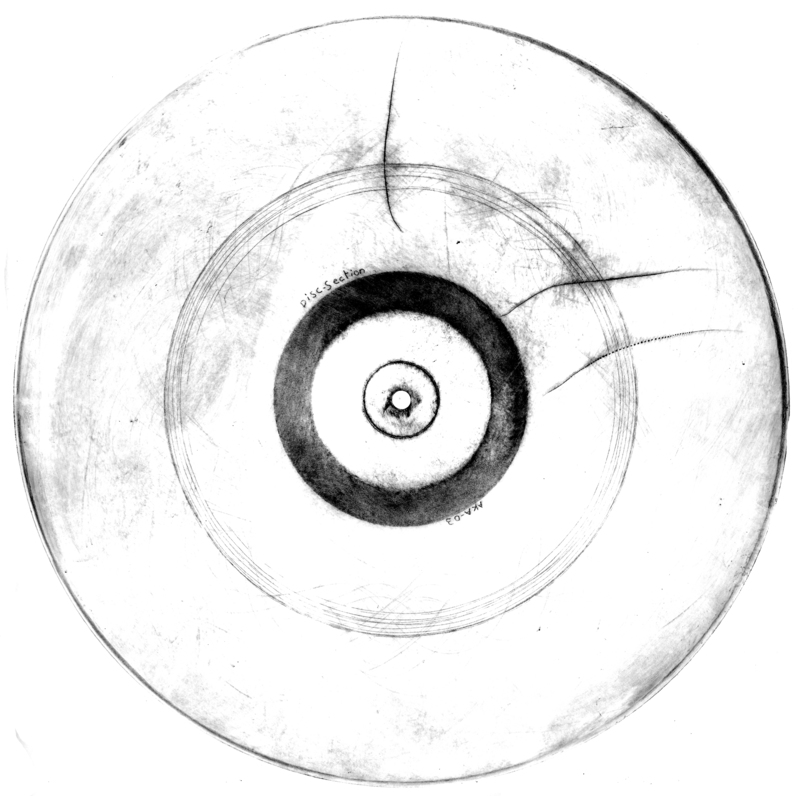 A progressive mix began on a blank disc, using surgical material connected to a contact microphones. The A side is the sound result of the live sessions, recorded in 2008 in Paris / Bruxelles. 17 min. The B side is a hand cut groove. Each disc is Hand Cutted. 12″ LP, All records with handcrafted cover & hand cutted B-side – limited 300 + 33ex.